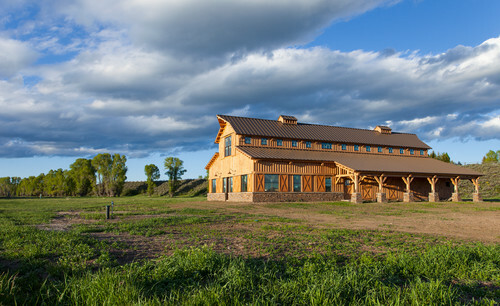 Amazing Horse Barn Designs from around the country. 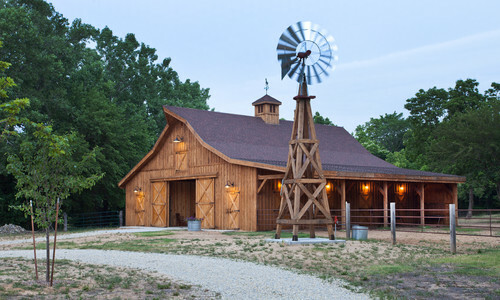 Functional and stylish, these horse barn designs can be custom designed for your needs and taste. 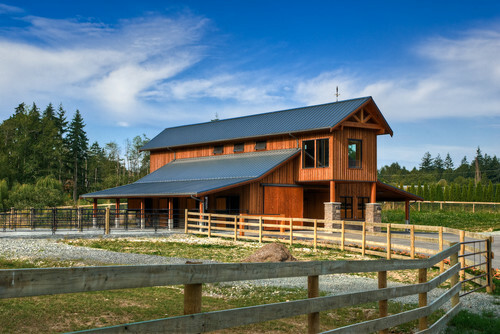 I am always looking for most comfort for the horses, a layout that enables great efficiency when working, efficiency as far a keeping a horse barn cool, quiet and clean, a layout that enables me to take care of my horses even when weather is extreme, when I am not so well, or any other circumstance that makes work more difficult at times. Planning ahead can save much trouble later. 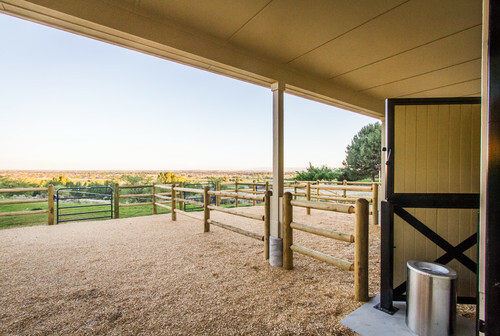 This is a cute horse barn design with attached paddocks that are partially covered. This layout allows horses to have some movement outside their stall if turnout in field is not possible. Farmhouse Garage And Shed by Vancouver Architects & Building Designers site lines architecture inc.
Love the interior of this Barn. 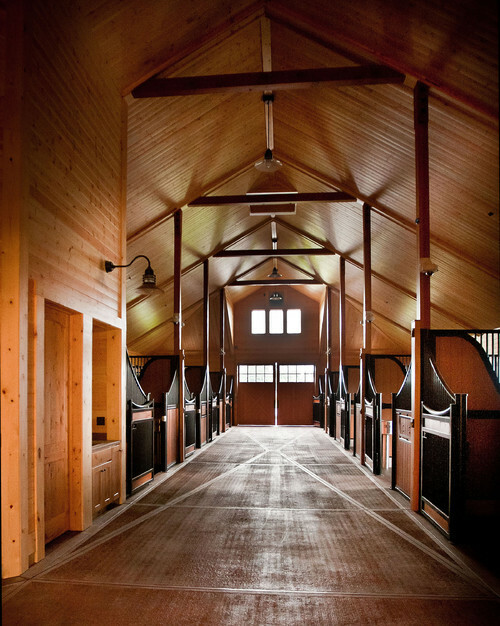 High ceilings keep barn cooler and open stall doors allows horses to have a better view when inside their stalls and see what is going on. Beautiful design and materials for stalls designs. Nice Barn with covered outdoor walking area. Could add some paddocks on the outside of some of the stalls or use the area to clean and tack horses. Another look at the above barn. Living quarters could also be placed in the front of the building. I have seen this layout on a property I was looking for. 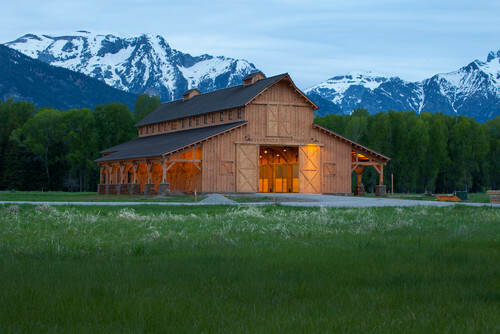 The barn was unfinished, but this is what I envisioned if I had pursued it further. 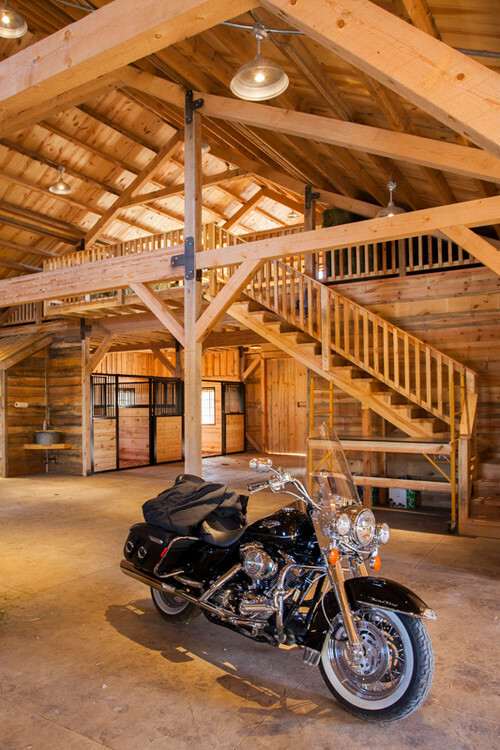 Very airy and open horse barn. The wire mesh on the barns are nice as you can see all of the horse in the stalls. Looks like a plenty of air circulation is possible, especially needed in hot places like Texas. Same view of above barn. Love the living quarters in the middle and stalls off to the sides. Farmhouse Garage And Shed by Boise Architects & Building Designers Gravitas, Inc.
Again, a horse barn with attached paddocks for more movement. I love this idea instead of confining horses to a 12×12 stall. 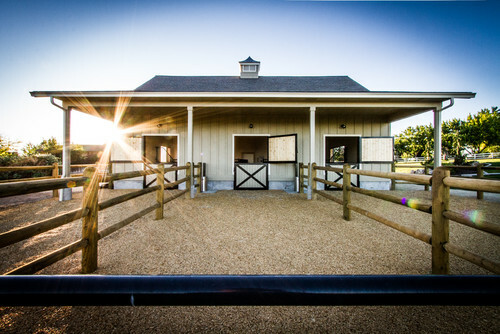 This horse barn design is perfect for a smaller property or if you have just a couple or three horses. Very cute and looks lovely. 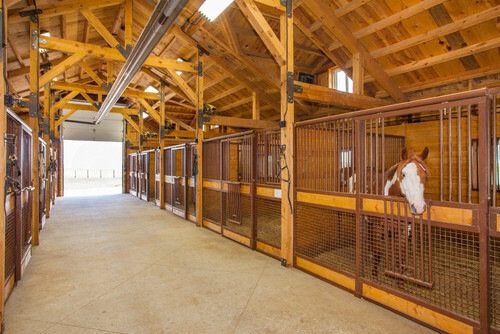 Nice layout for multi purpose horse barn. This design provides for a lot of storage for a number of items.